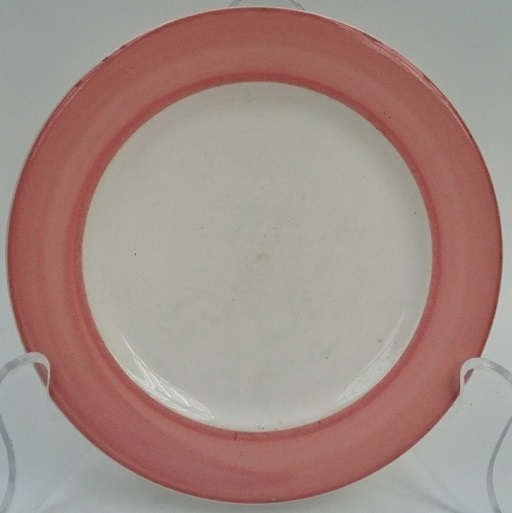 I've seen these mugs listed sitting on the Venice d72000 saucers many a time, but this mug isn't in the catalogue that I have, just the rest of the set with the outer wide pink rim band. I'm inclined to think that they do belong to Venice, as I've seen very similar looking mugs on the Taranto d71900 saucers as well. There was an auction recently with both, but darned if I can find it now! Hiya Ev... Have you just uploaded this cup to the gallery LOL? Yes, I have seen many, many listings for these and that listing reminded me that I was looking for an answer. Taranto has a similar cup and saucer too. So I uploaded the cup into the Patterns Gallery without any explanation and you found me out ...... This is a mug really, the cups are the same shape as Milano, Nouveau, Florence etc shape 3078. 3078 shape.... I never thought it was a C/L cup, as I have had one of those for years LOL.. I also have a set of nouveau saucers and always wondered which cups matched. It was only in the last few months I found out from your forum duh! ... I have some white 3078 cups too.. unsure what they would go with? Oh the white 3078 cup is interesting..... I haven't seen one yet! I have a catalogue that has all of the Modello Collection in it, but I can't see a white cup anywhere. Perhaps it goes with the Trieste pattern? This is mainly white with a little blue pattern. Taranto has grey, Venice has pink, Verona Milano, Nouveau and Florence have black. 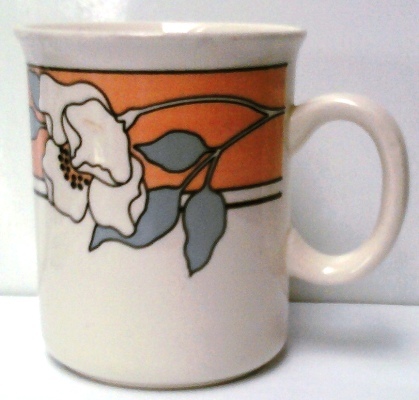 Bumps this Venice mug for Janice and then remembered your white Modello cups !! It's taken 5 years to put this photo of Venice d72000 on the site. I will remove the mug in the Gallery that is in the first post and replace it with this side plate.